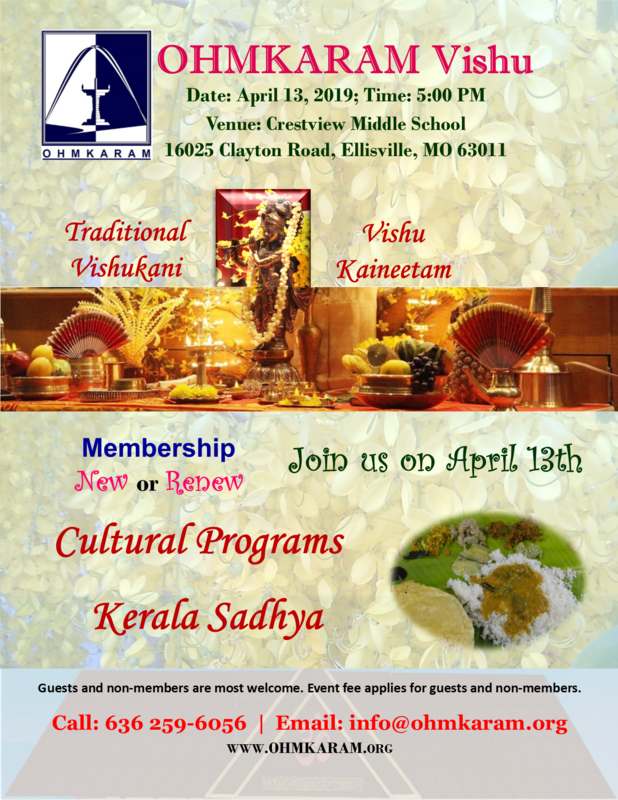 Ohmkaram, Kerala Hindu Organization in Saint Louis, Missouri, USA was founded in 2006 to promote awareness of Kerala Hindu culture, arts, and tradition through community participation. Ohmkaram promotes the Malayalam language and literature. We facilitate and encourage members and youth to participate in community service. The organization will serve as a platform for the effective networking for anyone interested in Kerala culture, irrespective of race, religion or national origin.